Here's what to watch if you're going through Jon Snow withdrawal. With this season of Game of Thrones lasting about as long as Joffrey and Margaery’s marriage, you’re probably thinking to yourself, “I’d rather attend a dinner party at House Frey than try to figure out what to watch next.” Well, put your chalice down, drama queen. We have you covered. 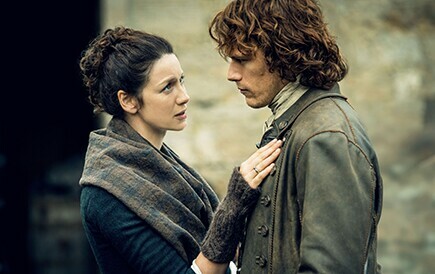 Season 3 premieres on Starz on Sept. 10, right after the Westeros well has run dry. It’s a good binge and short enough that you can get caught up before the new season. And let’s be real: It’s a good story, but the visuals are … um, come for Sam Heughan, stay for Sam Heughan, and then, hell, depending on who’s around, come for Sam Heughan again. Jesus, Mary Camden and Joseph — USA’s Sinner is an eight-episode series (these are getting crazy popular) starring Jessica Biel. No longer as sweet as her 7th Heaven counterpart, Biel plays a young mother who commits a public act of violence but has no idea why. Think Big Little Lies, with an emphasis on, well, the lies. 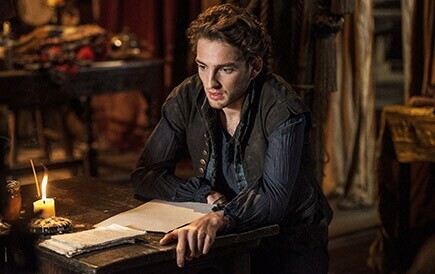 Let’s be clear — Will, the summer TNT show (very loosely) based on William Shakespeare’s life and writings, is super campy. But it’s a wildly gorgeous show to watch, and it’s a fun summer binge. It premiered on July 10, so it will be coming to an end around the same time as Thrones, but a good 10-episode binge (available at TNTDrama.com and on the TNT app) of Elizabethan Age England never steers you wrong. You know how it seems like the next hot show has already happened before you ever hear about it? Well, the next prestige comedy just might be Disjointed on Netflix, premiering Aug. 25. 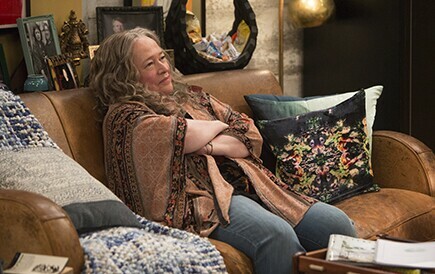 It’s about a family-run marijuana dispensary and the matriarch is none other than Kathy Bates. She’s practically Emmy-award bait, so expect people to be chatting about this one.